First a look back at how I did last year. I hit almost everything out of the park! I’ve really increased my weight/toning workouts, cardio and stubborn area workouts. I kept up on walking at least 1 mile per day. However – I had done really well pre-2015 with stretching/yoga – mostly because I’m lazy and hated harder workouts lol but that slipped to once a week or never last year and as a result I ended up losing a lot of flexibility. And that’s really important to me as I age (I’m 50) and because my father had Parkinson’s so I know how important balance and flexibility are. I started 2015 with major back issues so that meant mostly low impact cardio and no squats or lunges. Then I discovered *standing ab workouts*. (Here’s a basic rundown of possible exercises but just type Standing Abs into any of your favorite YouTube workout search engines & you should find something). After a few weeks of doing these types of workouts my back started improving and I haven’t had a problem in over 8 months. An added benefit is I’m beginning to get that sculpted 6 pack look. An outline anyway. lol Same for my hubby. All without ever hitting the floor. In fact, I still can’t do floor ab workouts without causing my back pain to flare back up. I don’t think I’ll ever be able to do high impact workouts because of my back/knees but I have been able to add the squats and lunges back in (with small modifications) and after years of massages and different therapies my back no longer hurts! 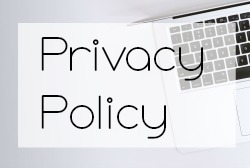 Of course this may not apply to all back issues and check with your Dr. first. And also – go easy on the spinal twist type exercises at first! I found the side bend ones to be more beneficial and less painful for my back problems. Same as 2015 but really work on incorporating that stretching into my workouts. 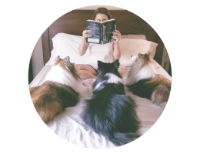 #FitReaders has added a new feature this year, The Virtual 5k, and I’m going to try to get in a few of those during the winter months. I know it isn’t happening in the summer in FL! So sign up for the #FitReaders Commit to Exersice for January with me! See I'm okay with excercises, I love them. My problem is the eating part of the equation. I can't lay off food! I love to eat but I really seem to like healthy food so I manage to stay on track. The standing ab workouts did more for my back than my abs. It's so nice to finally be pain free! Standing ab workouts huh? I might have to looking into that as I have a bad back already - I have scoliosis. I suppose it matters what the cause is but I think at least some of my back pain is from sitting, hunching so the standing abs stretch out those muscles and my psoas - at least that's what my chiro says. I definitely want to workout more this year! Especially that standing ab thing. I need that. I am also planning on doing more fitness this year!! I love stretching, and it really helps when I do a tough workout. Love ab workouts but boy are they tough to do sometimes. 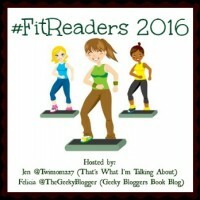 Glad to see you are participating in Fit Readers! !